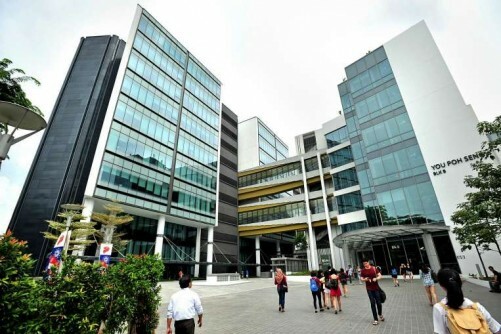 The Singapore Institute of Management (SIM) wants to give its students a leg up in the working world by matching them with corporate high fliers in a bid to expand their social network. A new career office launched last month aims to link selected students up with mentors who are business owners or corporate leaders such as chief executives. The mentorship will last six months and both parties will meet to discuss topics such as leadership skills or workplace strategies. Mr Anselm Chu, 48, head of career development at SIM Global Education (SIM GE), who led the initiative, said students will be mentored by people in areas they are interested in. This not only allows students to get an in-depth understanding of the particular industry, but, more importantly, opens the door to more job opportunities. "Hopefully, the mentors are happy with the mentees, and offer them a job. That is the ultimate benefit of this (scheme)," he said. SIM GE, which is under the SIM Group, runs overseas degree programmes and has more than 20,000 students. It is managed separately from SIM University, which offers its own degree programmes. The career office, named Career Connect, has about 20 mentors, but Mr Chu hopes to grow it to 80 in the next three years. The mentors join on a voluntary basis. Noting that some employers have the idea that SIM GE, being a private education institution, may not produce good-quality graduates, Mr Chu said the new office hopes to change this perception. Previously, at SIM GE, career services were provided on an ad-hoc basis. The new office will do more. It is run by about 50 students under the supervision of 10 full-time staff. Students do work such as approaching firms and pitching for internship opportunities for students, and organising tea sessions for students to meet industry leaders. Those who do well may be selected for the mentorship scheme. "We are working hard to engage the industry and put our students out there," said Mrs Ho Soon Eng, director of student life at SIM GE. Mr David Leong, managing director of recruitment consultancy PeopleWorldwide, said the mentorship scheme "allows students to access the relevant people in corporations, which is already a tremendous opportunity". He added: "A lot of what we've learnt in school may become obsolete in 15 years' time. But skills such as interacting and networking with others will carry us through our careers." Mentors in the programme include Mr Abdul Halim Kader, president of community group Taman Bacaan; Brigadier-General (NS) Ishak Ismail, chief executive of defence services at logistics firm CWT; and veteran human resource practitioner Harold Kwan. Mr Kwan, 64, who runs a consultancy firm, said he hopes to help students understand more about the HR sector. The career office has two other mentorship schemes open to all students: one where students are matched with SIM alumni who are in middle management and another where students in leadership roles in school guide other students. Mr Firdaus Iskandar Shah, 24, who is pursuing an economics degree from the University of London, was matched with Mr Abdul Halim. As a result of the mentorship, he took part in two conventions on extremist ideology and rehabilitating terrorists. "I've always been interested in international relations, and it was an eye-opener to be a part of these high-security events," he said.